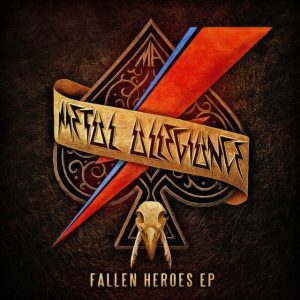 On Friday, METAL ALLEGIANCE released their newest EP, entitled Fallen Heroes, which pays homage to the 3 legends – Lemmy Kilmister, David Bowie, and Glenn Frey – who impacted not just their lives but the world as well. 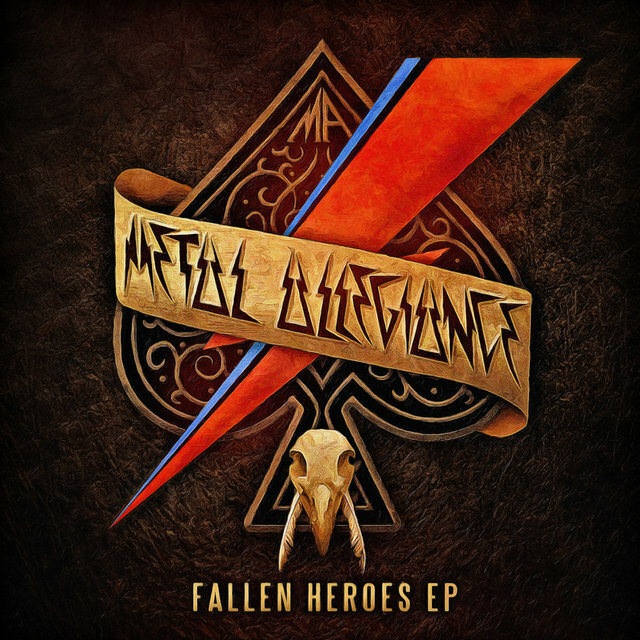 Recorded at Conclave Studios in New York City, Fallen Heroes was produced by Mark Menghi, Mike Portnoy,and Alex Skolnick. The album was mixed by Jay Ruston in Los Angeles, CA and mastered at Sterling Soundin New York City by Ted Jensen. The initial sketch of the artwork was created by Mark Menghi and Stephen Thompson (Anthrax) and was later finalized by Marcelo Vasco (Slayer). METAL ALLEGIANCE took the news of Lemmy’s passing very hard as the bands very first gig was onMotörhead’s first Motörboat cruise. It was on that boat where the idea to write a record together and carry the MA flag as a brand/band rather than a sporadic, special event. The band comment, “all of us in MA are humbly grateful for the opportunity that team Motörhead gave us“. In late 2015, the band scheduled a West Coast string of intimate club dates with a stop as the world-famous Whisky A Go-Go. The year concluded with the band heartbroken saying goodbye to their beloved friend. They later found out that his funeral and memorial services would be held the day of their performance. The band was asked by their tour agent who is also Motörhead‘s agent, Lemmy‘s management, close friends of his, and the owner of the Rainbow & Whisky to incorporate a tribute which of course, they obliged. The day of their performance, Sunset Blvd. was shut down and their bus was parked on a street filled with tears, madness, partiers and a sea of mourning metal heads. They said goodbye to their friend that evening with help fromMotörhead drummer Mikkey Dee amongst a ton of other special guests.